Summer is here and your service dog needs to be prepared for the hot weather. 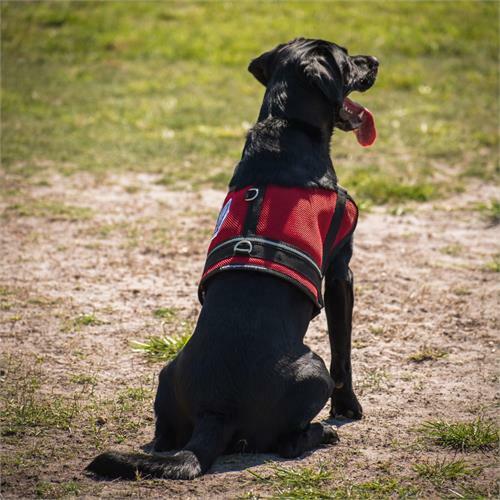 A mesh service dog vest is the perfect way to combat common summer dangers, such as dehydration and overheating, that could seriously harm your pup. Some parts of the United States, such as the southeast region, suffer from high humidity during the summer. While this may be uncomfortable for humans, just imagine how miserable the humidity could make your dog. Add a bulky vest on top of a fur coat and you’ll likely end up with one overheated canine. 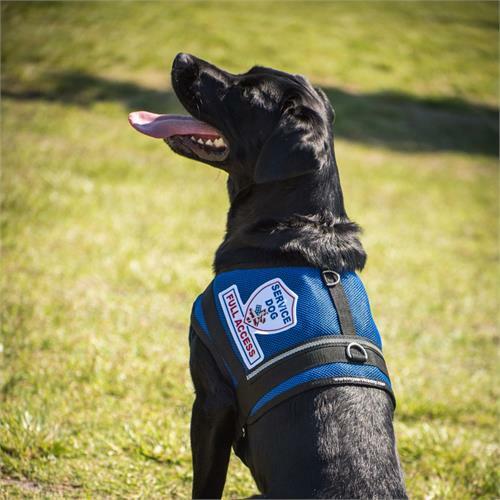 Included free patch – Service dog patches can be sewn to your vest to identify your dog as a service dog, therapy dog or emotional support dog, to name a few. 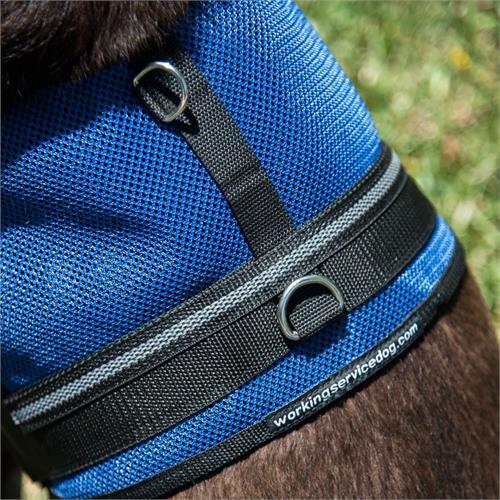 Adjustable straps – Fit the vest snugly to your dog with adjustable straps and you’ll never have to worry about your dog getting loose. Plan ahead and order your mesh service dog vest today to keep your dog cool and comfortable all summer long! All of our products, including our lightweight service dog vests, ship within two business days. Order now and you’ll receive your mesh vest in just a few days!